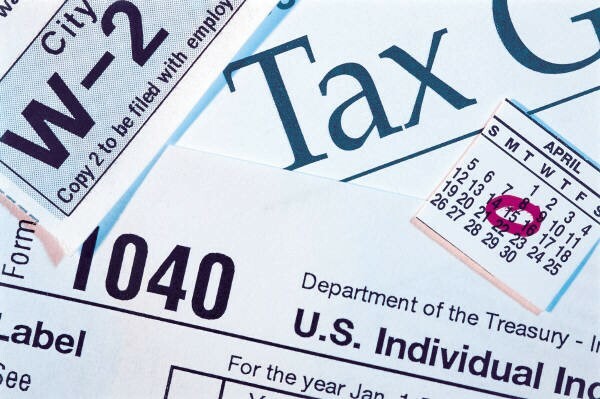 While similar to FSAs (Flexible Savings Plans) in that both allow pre-tax contributions, Health Savings Accounts or HSAs offer taxpayers several additional tax benefits such as contributions that roll over from year to year (i.e., no “use it or lose it”), tax-free interest on earnings, and when used for qualified medical expenses, tax-free distributions. A Health Savings Account is a type of savings account that allows you to set aside money pre-tax to pay for qualified medical expenses. Contributions that you make to a Health Savings Account (HSA) are used to pay current or future medical expenses (including after you’ve retired) of the account owner, his or her spouse, and any qualified dependent. Caution: Medical expenses that are reimbursable by insurance or other sources and do not qualify for the medical expense deduction on a federal income tax return are not eligible. Caution: Insurance premiums for taxpayers younger than age 65 are generally not considered qualified medical expenses unless the premiums are for health care continuation coverage (such as coverage under COBRA), health care coverage while receiving unemployment compensation under federal or state law. You cannot be covered by other health insurance with the exception of insurance for accidents, disability, dental care, vision care, or long-term care and you cannot be claimed as a dependent on someone else’s tax return. Spouses cannot open joint HSAs. Each spouse who is an eligible individual who wants an HSA must open a separate HSA. An HSA can be opened through your bank or another financial institution. Contributions to an HSA must be made in cash. Contributions of stock or property are not allowed. As an employee may be able to elect to have money set aside and deposited directly into an HSA account; however, if this option is not offered by your employer, then you must wait until filing a tax return to claim the HSA contributions as a deduction. A Health Savings Account can only be used if you have a High Deductible Health Plan (HDHP). Typically, high-deductible health plans have lower monthly premiums than plans with lower deductibles, but you pay more health care costs yourself before the insurance company starts to pay its share (your deductible). A high-deductible plan can be combined with a health savings account, allowing you to pay for certain medical expenses with tax-free money that you have set aside. By using the pre-tax funds in your HSA to pay for qualified medical expenses before you reach your deductible and other out-of-pocket costs such as copayments, you reduce your overall health care costs. Calendar year 2018. For calendar year 2018, a qualifying HDHP must have a deductible of at least $1,350 for self-only coverage or $2,700 for family coverage. Annual out-of-pocket expenses (e.g., deductibles, copayments, and coinsurance) of the beneficiary are limited to $6,650 for self-only coverage and $13,300 for family coverage. This limit doesn’t apply to deductibles and expenses for out-of-network services if the plan uses a network of providers. Instead, only deductibles and out-of-pocket expenses for services within the network should be used to figure whether the limit applies. Last month rule. Under the last-month rule, you are considered to be an eligible individual for the entire year if you are an eligible individual on the first day of the last month of your tax year (December 1 for most taxpayers). You can make contributions to your HSA for 2017 until April 17, 2018. Your employer can make contributions to your HSA between January 1, 2018, and April 17, 2018, that are allocated to 2017. The contribution will be reported on your 2018 Form W-2. Tax deductible. You can claim a tax deduction for contributions you, or someone other than your employer, make to your HSA even if you don’t itemize your deductions on Schedule A (Form 1040). Pre-tax dollars. Contributions to your HSA made by your employer (including contributions made through a cafeteria plan) may be excluded from your gross income. Tax-free interest on earnings. Contributions remain in your account until you use them and are rolled over year after year. Any interest or other earnings on the assets in the account are tax-free. Furthermore, an HSA is “portable” and stays with you if you change employers or leave the workforce. Tax-free distributions. Distributions may be tax-free if you pay qualified medical expenses. Additional contributions for older workers. Employees, aged 55 years and older are able to save an additional $1,000 per year. Tax-free after retirement. Distributions are tax-free at age 65 when used for qualified medical expenses including amounts used to pay Medicare Part B and Part D premiums, and long-term care insurance policy premiums. However, you cannot use money in an HSA to pay for supplemental insurance (e.g., Medigap) premiums. Questions about HSAs? Don’t hesitate to call.